New Jersey is one of the top weekend spots for couples who live in the northeastern United States, according to excellent-romantic-vacations.com. Between Atlantic City and Cape May lie miles of beaches, boardwalks, quaint shore towns and romantic retreats--the ingredients for a romantic getaway. May through June as well as the month of September are good times to visit the New Jersey shore because its peak tourist season is in July and August. Plan on having the ideal romantic getaway on the New Jersey shore. Cape May is the country's oldest resort on the sea and the largest Victorian Historic District, making it a unique setting for a getaway. The city has a wide array of bed and breakfasts and hotels as well as romantic eateries. Couples will find plenty to do, such as tours of vineyards or historic homes, carriage rides and picnics by the Cape May Lighthouse in Cape May Point State Park. Couples can walk along Fisherman's Wharf, take a whale- or dolphin-watching cruise or choose from a variety of sailing charters and sightseeing cruises. There are plenty of other outdoor activities to choose from, such as walking the trails of Cape May Bird Observatory and bird watching, touring the gardens at the Nature Center, and taking a bike tour of Cape May. Manasquan is a good choice for younger couples with its excellent surfing and an active nightlife, but couples of all ages can enjoy the nightclubs. Ferraro's Café, for example, has Jazz Night and Comedy Night and serves Italian cuisine. Couples can stay at a bed and breakfast and select from activities such as boating, fishing and biking, as well as enjoying Manasquan's fine beaches. Located on Long Beach Island, a small quarter-mile-wide island that offers quiet and relaxation on all sides, Ship Bottom has beautiful beaches, quaint boutiques and relaxed, quiet restaurants. Couples can enjoy boating or have fun together at Ship Bottom's beaches and at parks like Beach Arlington Park & Bay Beach. 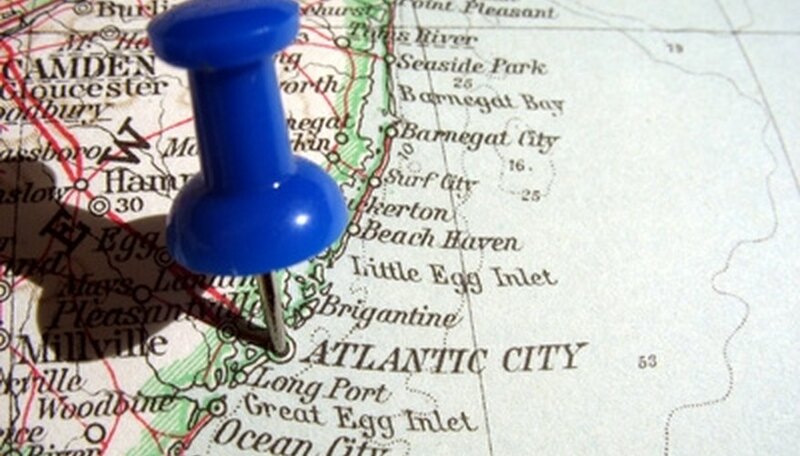 Atlantic City is located 130 miles from New York City and 60 miles from Philadelphia, ideal for a quick getaway. It offers the famed boardwalk, unique shops and high-end designer stores, intimate restaurants and cruises. There are many hotels and bed and breakfasts to choose from, for example the upscale Borgata (theborgata.com) and Atlantic Palace Suites (atlanticpalacesuites.com), which offers ocean views. Some hotels offer packages for couples, such as the Carisbrooke Inn, Scarborough Inn Bed & Breakfast and the Colonial Inn. Check out atlanticcitynj.com and search under Hotel Packages for more information. Boynton, Anne. "Romantic Getaways at the New Jersey Shore." Dating Tips - Match.com, https://datingtips.match.com/romantic-getaways-new-jersey-shore-6102946.html. Accessed 19 April 2019.